Understood makes a difference in life! A momento in life can be beautiful and or miserable. We make a difference in others’ live by sharing information and knowledge to enlighten others. It is always good to know that we are not alone and that others’ are willing to listen. Showing others that we are there to help, care and make a difference says a lot for the troubled person. Our children are the future and being understood can create a better future for others. When it comes to bringing out the best in children, what I wanted to share was a program that I was recommended that gives assistance and advice to children in school. From various subjects from Economics, Chemistry and Physics, to asking for java help , looking into sometime like this would be beneficial for your kids to grow stronger in areas of weakness. Let’s take the time and show our appreciation by sharing this information. The new school year is on the horizon, or maybe your kids have already started, either way it can be a fun but trying time for parents and kids alike. That can be especially true if you have a child who struggles with school, attention, and focus, amongst other behavioral challenges. It’s never easy getting kids transitioned into a new school setting. Been there, done that! Understanding and advocating for our children is so important. One in five children struggle with issues related to reading, math, writing, focus, and organization, yet many children with learning and attention issues do not have a diagnosis. The adults in their lives often have a hard time understanding their issues due to misconceptions and a lack of information and resources. As a result, children with learning and attention issues often face both academic and social challenges. Sometimes returning to school after a long summer break can bring out some pretty tough emotions for kids. If you are sitting there reading this, stressed out and feeling alone, don’t be. You are definitely not alone. There are so many others who have been sitting right where you are. 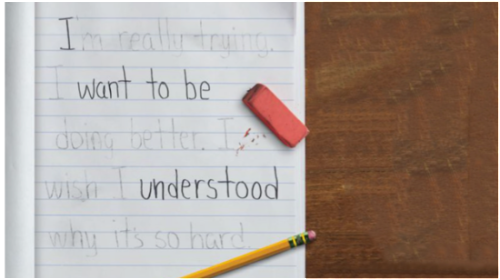 Understood is an organization that was created by a coalition of 15 nonprofits, and its content and tools were informed by a survey of more than 2,200 parents of children with learning and attention issues. Understood offers free daily access to experts through chats and webinars, a safe online community that encourages parents to reach out to and learn from each other and a suite of specially designed, first-of-their-kind tools that will help you prepare your child for back to school and cope with everything that comes along with it. Back to School Preparedness Countdown – Start the new school year off right! There’s a lot going on—and a lot to keep track of. Download this one-month planner, which has daily tips to get your child with learning and attention issues ready for going back to school. General School and Learning Section – Read through each section to see what we have to offer. Complete your profile and let us show you how we can help. How to Help a Child Cope with School Anxiety – My son is anxious about going back to school, and the closer we get to the first day back, the worse it gets. He’s been acting out and throwing tantrums, saying he refuses to go. What can I do? Working With Your Child’s School – Parents often don’t want to bother teachers in September and October. But talking early in the school year can set the stage for strong communication throughout the year. Here are topics that can get the dialogue going. How to be an Effective Advocate for Your Child – As a parent, you are your child’s best education advocate—until he’s old enough and informed enough to speak up for himself. You know your child’s strengths and challenges, and you can help identify and push for the resources your child needs to succeed. Here are some tips to help you advocate for your child at school. Maybe you are a parent of a struggling child, or even a friend or family member who is watching the struggle from afar. Understood has resources for everyone to learn how to help these kiddos face these challenges together. The You & Your Family section helps families with practical solutions and advice for social, emotional, and behavioral challenges. This may give you more opportunity to prepare them for the coming school year, as well as engaging in fun family activities. Children, family and education are such an important part of life. Sometimes you have to take the hard with the easy, the bad with the good. If you know someone who is struggling, be it a parent or a child; encourage them to check out Understood. They may find exactly the help and inspiration that they need! Disclosure: I am sharing this as part of a Bloggin’ Mamas Social Good Campaign conducted in conjunction with Element Associates. I was not compensated for this post and all opinions are my own.